Movies have been a part of my life ever since I was little. I’m pretty sure I watched films before I could read which is why films have a special place in my heart. But when books I love get adapted into films, I get a little defensive as if the film industry is out to personally ruin my experience of something wonderful. And it’s not exactly unfounded. Remember The Golden Compass? As a reader, I’ve come to accept that film adaptations will never be as good as the books. Until they are. That’s when my loyalties falter. Have you ever watched a movie, loved it, find out it’s an adaption of a book, read the book and not like the book one bit? It’s soul-crushing! “How can the original text, the written word, the holy grail, be worse than the adaptation?” I ask myself every single time. What’s worse is when the trailer gets me so hyped up for the movie that I go ahead and read the books and they turn out to be awful. So awful that my anticipation for the movie completely disappears. 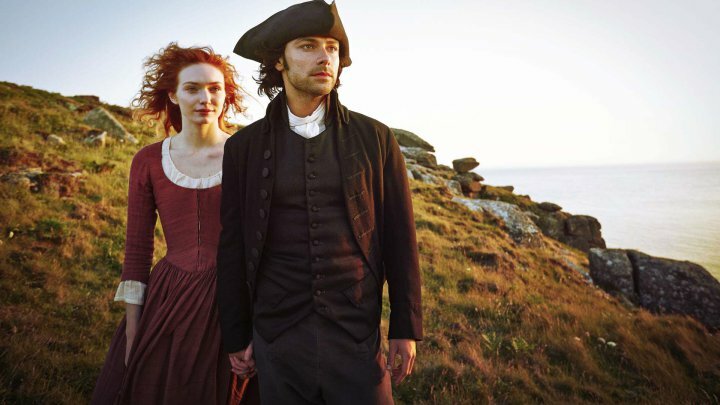 Related to this, I recently fell in love with this British TV series entitled Poldark, based on the series of historical novels by Winston Graham. And it. Is. BEAUTIFUL. Now here comes my dilemma. The series has made me want to read the novels but I’m scared it will be vastly different. I’ve seen some comments online about how they changed certain characters’ personalities and made them much more pleasant for the modern adaptation. Will I still read the books? Probably, but maybe only when my infatuation has run its course. By then I would be able to enjoy the novels separately from the series.